ANAHEIM UNION HIGH SCHOOL DISTRICT. Administrative Law Judge (ALJ) Darrell Lepkowsky of the Office of Administrative Hearings (OAH), State of California, heard the non-expedited portion of this matter in Anaheim, California, on January 14, 15, 16, and 17, 2013, and February 4, 5, and 6, 2013. Tania Whiteleather, Esq., represented Student and his parents (Student). Advocate Dr. Susan Burnett also appeared on behalf of Student and his parents. Ms. Whiteleather was also assisted by Antoinette Penton on a few hearing days. Student’s mother (Mother) was present for the entire hearing. She was assisted by Student’s older brother the first day of the hearing. Student was not present during any of the hearing. Jeffrey Riel, Esq., represented the Anaheim Union High School District (District). Brad Jackson, the District’s Director of Special Youth Services, also appeared on behalf of the District. Student filed his due process request (complaint) on March 26, 2012. On March 29, 2012, OAH issued a scheduling order setting this case for dual hearing dates based upon the fact that some of the allegations in Student’s complaint, by statute, required an expedited hearing. The expedited portion of Student’s complaint was heard in April, 2012. The undersigned ALJ issued her Decision on the expedited issues on May 9, 2012, in which she found that the District had a “basis of knowledge” that Student was a child with a disability prior to the conduct leading to a recommendation for expulsion. With regard to the non-expedited portion of this case, OAH granted the parties’ various requests for continuance. At the close of the hearing, the ALJ granted the parties’ request for a continuance in order to file written closing briefs in lieu of oral closing arguments. Both parties timely filed their briefs on February 25, 2013, at which time the ALJ closed the record and deemed the matter submitted. At the beginning of the first day of hearing on January 14, 2013, the District made a motion to dismiss the non-expedited issues in this case. The District’s motion was based upon its September 28, 2012 written offer to Student, pursuant to title 20 United States Code section 1415 (i)(3)(D)(i), to settle all remaining issues in the case. The District offered to provide Student with 80 hours of individual tutoring and 20 hours of counseling services, as compensatory education. The District also agreed to reimburse Student’s parents for the cost of the psycho-educational assessment administered by Dr. Perry Passaro, and to reimburse Student’s parents for reasonable attorney’s fees. The District made an offer of proof that Student had agreed that the substantive terms of the offer were appropriate to settle this matter. The District’s motion to dismiss was therefore predicated on its position that since Student agreed that the substantive terms of the District’s offer were sufficient to compensate him for any alleged misconduct of the District, the matter was moot. Student opposed the District’s motion to dismiss based on the fact that the matter had not been resolved since no settlement agreement had been executed by the parties. Upon questioning from the ALJ, the District acknowledged that Student had not entered into a final settlement based upon the District’s offer and that the District had not implemented any portions of its offer. In this case, although Student may have been in agreement theoretically with the District’s offer, no settlement agreement had been entered into by the parties nor had the District actually implemented any portion of its offer. The ALJ therefore found that the issues in the case were not moot, and denied the District’s motion to dismiss. During the final prehearing conference in this matter, held on January 7, 2013, the undersigned ALJ granted the parties’ motion for her to take administrative notice of the official transcript of the expedited portion of the hearing and, therefore, official notice of all witness testimony at that hearing. The purpose was to avoid having all witnesses repeat the testimony they had given in April 2012 during the expedited hearing. Both parties agreed to this procedure. At the beginning of the instant non-expedited hearing, the ALJ marked the transcript as Joint Exhibit 1, and admitted it into evidence. As his first witness at the instant non-expedited hearing, Student called Dr. Perry Passaro, who Student had designated as an expert witness. Early in Student’s questioning of Dr. Passaro, it became clear that Student had provided Dr. Passaro with a copy of Joint Exhibit 1 to review in preparation for his testimony. The District then made an oral motion to disqualify Dr. Passaro from any further testimony, and to strike any testimony already presented, based upon its position that it was improper to permit Dr. Passaro to review testimony from a hearing that had been closed to the public. Student orally objected to the District’s motion. The ALJ tentatively denied the District’s motion, and permitted Dr. Passaro to continue testifying. The ALJ directed the District to file a written motion with supporting authority, and gave Student an opportunity to file a response. The ALJ indicated that she would review the authorities presented in the parties’ written briefs and, if she reconsidered her tentative ruling, she would thereafter strike Dr. Passaro’s testimony. 1 The AJL’s ruling is further supported by California case law finding that it is within a court’s discretion to decline to exclude witnesses, particularly based on a distinction between percipient and expert witnesses. (People v. Valdez (1986) 177 Cal.App.3d 680 (Valdez).) In Valdez, the court distinguished “percipient” witnesses who testify to observed facts in the matter, and expert witnesses who express their opinion on the basis of hypotheticals, personal knowledge of facts not in controversy, or testimony heard in court. The purpose of Dr. Passaro’s review of the exhibits, including prior testimony, was to support his expert opinions. 2 The issues were finalized at the prehearing conference held on January 7, 2013, after discussion with the parties. 3 Medical professionals, Mother, and District staff appear to have used the terms “ADHD” (attention deficit-hyperactivity disorder) and ADD (attention deficit disorder) fairly interchangeably. However, as discussed below, Student did not demonstrate hyperactivity, so ADD was apparently his proper diagnosis. Whether Student had ADD or ADHD, however, is not dispositive of any issue in this case. 1) Whether the District has failed to comply with its child find obligations as to Student during the past two years by failing to assess Student and identify his unique educational needs? 2) Whether the District has violated Student’s rights by denying him a free appropriate public education to address his unique educational needs during the past two years? As remedies for these alleged violations, Student requested that the ALJ order the District to provide him with compensatory education and counseling services, as supplemented by his witnesses at hearing. Student, however, contends in this case that the District violated its child find obligations to him. Student contends that the District should have initiated an assessment of him and found him eligible for special education as far back as March 2010 and, in any case, at some point prior to March 2012. Student contends that a totality of the evidence available to the District during the two years in question regarding Student’s problems with attention and focus in school and inability to complete his schoolwork, coupled with later knowledge by the District of Student’s anxiety and mental health issues, including an attempted suicide and resulting psychiatric hospitalization, should have propelled the District to assess Student long before Student’s parents requested the assessment. Student contends that the failure to assess him and thereafter find him eligible for special education during the two years between March 2010 and March 2012, denied him a free appropriate public education (FAPE). The District disagrees. It maintains that it had no reason to suspect that Student might be eligible for special education before Student’s parents requested he be assessed. The District contends the evidence demonstrates that although Student had difficulties completing class work and homework, he successfully passed his classes because his teachers were in constant communication with Mother and provided accommodations and modifications in the general education environment to ensure Student’s success. The District contends that upon Mother’s request in September 2011, it formulated a plan for Student under Section 504 of the Rehabilitation Act of 1973 (504 plan) that successfully addressed Student’s ADD and anxiety, and that there was therefore no reason to assess Student for eligibility under OHI before Student’s parents requested the assessment in February 2012. The District further contends that it did not have sufficient notice that Student might be emotionally disturbed to warrant an assessment in that area prior to the time it conducted its assessment in spring 2012. This Decision finds unpersuasive Student’s argument that the District had notice that Student might be a child with a disability from the time period March 2010 to September 2011. Although Student struggled at times to complete school assignments, his general education teachers were responsive to his needs and instituted a variety of accommodations to ensure that Student passed his classes. Student’s grades and scores on state-wide testing were commensurate with or higher than his cognitive levels. This Decision does find that the District should have initiated an assessment of Student immediately after it held the initial 504 plan meeting for Student on September 22, 2011. By that time, the District was aware of Student’s diagnosis of anxiety and ADD, that Student was leaving class due to anxiety, that he was depressed, suffered mood disorder, was being treated by a psychologist and psychiatrist, and that Student was on medication for ADD, anxiety, and moods. Significantly, the District also had knowledge that Student had attempted suicide the month before the 504 plan meeting, and that he had been hospitalized due to the attempt. The totality of the circumstances in this case therefore put the District on notice that it should have initiated its assessment of Student approximately six months before it did so. 4 The first semester of Student’s eighth grade year is outside of the statute of limitations. The information regarding Student’s performance during this semester is provided as background information. 1. Student is presently 17 years old. He lives with his mother and stepfather within the boundaries of the District. Student has an older brother who attends an Ivy League college. In approximately May 2012, the District held an individualized education plan meeting for Student at which it determined that Student was eligible for special education and related services under the categories emotional disturbance and OHI. 2. Student’s transition from elementary school to junior high school was a struggle for him. He found it difficult to juggle seven classes. Student had a tendency to be very talkative in class and was often reprimanded for that. However, even with those difficulties, Student was able to attain a cumulative grade point average (GPA) of 3.07 at the end of seventh grade. 3. The 2009-2010 school year, when Student was in eighth grade, proved a bit more challenging for him. Mother is, and was, a very involved parent. She maintained consistent but very amicable communications by email and telephone with Student’s teachers in order to keep abreast of class requirements, assignments, upcoming tests, and how best to ensure Student’s success at school. 4. One of Student’s primary academic struggles was in mathematics; as far back as sixth grade, he only scored “basic” in math on statewide standardized testing. In order for Student to concentrate on learning eighth grade math in preparation for the California High School Exit Exam, Mother worked with the District to rearrange Student’s class schedule for eighth grade so that he would be more focused in his sixth period Algebra class. 5. Mother communicated with Student’s teachers consistently during the first semester of Student’s eighth grade. When Student demonstrated a lack of attention in class, his teachers moved his seat to the front of the room in order to focus him more. Mother informed Student’s teachers that she would sit with Student while he did his homework to ensure that Student completed it. Mother also informed the teachers that she would go over each step of work to make sure Student understood it and that she would review Student’s answers to confirm that they were correct. Mother never informed any of Student’s teachers or other District staff that she actually completed any of the assignments for Student because he was unable to do them himself. 6. The District maintained an online internet software program called “Zangle” where each teacher could update class assignments, input test results and other grades, and indicate any assignments or tests a student was missing. Mother reviewed Zangle frequently to stay current on Student’s progress in school. If she saw that Student missed assignments, had failed to turn assignments, or if she realized that Student’s grades were dropping, Mother would contact the appropriate teacher to determine how Student could make up work or improve his grades. Student’s teachers were always responsive to Mother’s inquiries. 7. Student has always had poor penmanship. His writing is not legible when he writes fast, which he has a tendency to do. In order to address some of these issues with Student’s writing, Mother hired one of the District’s special education teachers, named Christy Hutchings, to tutor Student before and after school to help Student develop better writing skills and habits. Student’s writing improved through this assistance. 8. Student also attended a math tutoring lab at school to address his continued struggles with math. With Mother’s consistent monitoring of Student’s work, assistance from his teachers, and Student’s efforts, Student was able to bring his Algebra grade from a low “D” at the beginning of the school year to a “C” by the end of the first semester of eighth grade. Student’s grades in all academic subjects ranged from “C’s” to “B’s.” Student’s GPA at the end of this semester was 2.57. 9. In an email to Mother in February 2010, Ms. Hutchings broached the idea of requesting a 504 plan for Student to provide classroom accommodations that might give him more time to complete work. Ms. Hutchings also expressed her hope that Student’s teachers would realize that they could implement accommodations as part of the general education curriculum. However, no one pursued the idea of a 504 plan at any time during the 20092010 school year. 10. Student continued to be talkative in class and to waste time rather than concentrating on the work he was supposed to do in class. However, while there were numerous email communications between Mother and Student’s teachers for the first twothirds of the 2009-2010 school year, there was only one communication between late March 2010 and the end of the school year, which pertained to one of Student’s assignments for his year book class. There is no evidence that Student had any significant issues at school during most of his second semester of eighth grade. By the end of the second semester, Student had brought his grade in Algebra up to a “C+.” His science grade went from a “C” the first semester to a “B” the second semester. Student’s overall GPA for the second semester of eighth grade was 2.71, slightly higher than his 2.57 GPA from the previous semester. 11. As an eighth grader, Student also participated in California’s Standardized Testing and Reporting assessments in spring 2010. This test, which is also known as the “STAR” assessment, measures eighth grade children’s achievements in English language arts, algebra I, history-social science, and science. Student’s English language arts score of 391 placed him in the high “proficient” range, just four points behind the beginning of the “advanced” range. Student’s score of 351 placed Student at the beginning of the “proficient” range in algebra I. This was an increase in Student’s STAR scores in the area of math. When last tested in sixth grade, Student’s score in math had been at the “basic” level. Student scored a 427 in history-social science, well into the “advanced” range for that area of academics. In science, Student scored 325, which placed him in the mid “basic” range. 12. Student’s report card and his STAR testing achievements for eighth grade therefore gave the District no indication that Student had any significant issues with regard to his ability to access his education. 13. Student’s junior high school, like Kennedy High School, has a health office. Student left class a number of times during the 2009-2010 school year to go to the office. However, there is no evidence in the record nor was there testimony at hearing regarding whether the reasons Student left class were due to anxiety or panic attacks during this school year. There is also no evidence in the documentary record or from testimony at hearing that Student suffered from anxiety during this school year and thus no basis for the District having knowledge during this school year of Student suffering from any condition related to anxiety. 5 As of the instant hearing, Ms. Yee’s last name had become Chan. For consistency with the expedited decision in this case, the ALJ will continue to refer to her as Ms. Yee here. 14. Student started high school in school year 2010-2011, Student’s ninth grade year. Prior to Student’s first day at school, Mother contacted school counselor Helen Yee 5 to discuss Student’s issues with her. Mother had been president of the Parent-Teacher-Student Association (PTSA) for a few years and has a long history of involvement in school and community issues. Mother had been very aware that Student’s difficulties at school increased as he grew older and as school in general became more challenging for him, as it did for all students. Student’s brother, who had recently graduated from Kennedy, is academically gifted and had been school valedictorian. Mother wanted Ms. Yee and staff at Kennedy to be aware that Student did not share his brother’s academic talents. Mother informed Ms. Yee that Student was nervous and anxious, and struggled in school. 15. Student’s academic difficulties during his freshman year at Kennedy were primarily in mathematics. Student was enrolled in an Algebra I class which was taught by a student teacher but supervised by mathematics teacher Terence Rollerson during the first semester and taught by Mr. Rollerson during the second semester. Mr. Rollerson testified at both hearings in this case. 16. This was the second time Student took Algebra I. Student did not demonstrate any misbehavior in Mr. Rollerson’s class. However, he had difficulty learning the material and completing his class assignments and homework. At the beginning of the school year, Mr. Rollerson emailed Mother to let her know that Student was turning in his assignments, but was doing poorly on tests and quizzes. Mr. Rollerson provided Student with access to an online computer math program that Student became familiar with and appeared to like. During the course of the school year, Mr. Rollerson also provided Student with numerous accommodations such as re-taking tests, turning in assignments late, and giving Student extra time to finish tests. Mr. Rollerson also provided accommodations to other pupils in his classes. Student sometimes failed to take advantage of these because he would not acknowledge to Mr. Rollerson that he had not finished an assignment. Mr. Rollerson worked with Mother to get Student to speak up if he needed assistance or wanted to take advantage of any of these accommodations. 17. Mr. Rollerson continued corresponding with Mother about Student’s difficulties in Algebra. He also spoke with some of the school counselors about Student’s difficulties. The consensus was that Student would benefit from tutoring. Student began receiving assistance from a math tutor toward the end of his first semester of ninth grade. At one point, this tutoring was increased to four times a week. Yousef Nasouf, who is now a school Principal at another District school, was an Assistant Principal at Kennedy at the time Student was in ninth grade. Mr. Nasouf worked with Mother, Mr. Rollerson, and Student to facilitate the tutoring and to convince Student that four hours a week were warranted and necessary. Mr. Nasouf also arranged to meet with Student a couple of times a month to give him encouragement. Mr. Nasouf testified at both hearings in this case. 18. Difficulties in scheduling the tutoring arose when Student had conflicts with after school sports activities in which he wanted to participate. Mr. Yousef worked with Mother to rearrange Student’s scheduling so that he could continue to participate in the sports, get credit for physical education class, and receive the necessary tutoring. However, due to these conflicts, as well as conflicts the tutor had in her schedule, Student was not always able to do four hours a week of tutoring throughout his second semester of ninth grade. 19. In spite of the tutoring and other accommodations and assistance, Student’s grade for the second semester of Algebra was a “D-”. However, Mr. Rollerson explained at hearing that many students have difficulty with Algebra. The average grade for Student’s classmates was also in the “D-” range. Therefore, Mr. Rollerson had no reason to suspect that Student’s problems in math were attributable to anything other than the general difficulty many students have in comprehending higher mathematics and in making the transition from junior high school to high school. 20. At the end of ninth grade, Student again took the STAR assessment. His score on the algebra I test plummeted from the “proficient” range to the “far below basic” range. However, because this test was administered in the spring of 2011, at the end of Student’s ninth grade year, neither Student’s parents nor the District were aware during the 2010-2011 school year that Student’s ability to retain math knowledge and concepts had dropped so dramatically. 21. Although Mother informed Mr. Rollerson that she was reviewing Student’s homework, reviewing his assignments to see if Student was turning them in, and reviewing tests to see if Student should retake them, Mother never informed Mr. Rollerson that she actually did any of Student’s work for him. 22. Student’s teacher for ninth grade English was Lisa Holley. Ms. Holley testified at hearing for the instant non-expedited portion of this case but was not called by either party to testify in the first, expedited hearing. 23. Ms. Holley has a master’s degree in education curriculum and instruction. She is a credentialed English teacher with over 20 years of experience. She has worked at Kennedy since 1996. 24. Ms. Holley remembered Student as a playful young man who was not very excited about studying English. He was never a behavior problem in her class, was fairly quiet in class, but would work well with others when required to do so. 25. Mother did not start corresponding with Ms. Holley until the beginning of January, 2011, toward the end of Student’s first semester of ninth grade. This was just after the District’s winter break. Student had been ill for a week prior to the break and had missed a week of school. Mother began corresponding with Ms. Holley when Student received a grade of “D” on an essay assignment. Ms. Holley permitted her class to re-write the assignment, and Student did the re-write in order to improve his grade. Mother informed Ms. Holley of the supervision and assistance she was giving to Student and how she was attempting to help him catch up with missing assignments. Ms. Holley readily agreed to accept the late assignments. She also commented that she sometimes has to redirect Student back to the class activities because he sometimes “went somewhere else in his mind.” However, Ms. Holley was able to redirect Student without issue. Mother also informed Ms. Holley that although adjusting to high school had caused Student some real anxiety he had let Mother know that he felt very comfortable in Ms. Holley’s class. 26. Ms. Holley readily provided accommodations to Student throughout the school year so that he could make up assignments. She seated Student in the front of the class so that she could redirect him easily. Ms. Holley would touch Student’s desk to get his attention. She even agreed to change scheduling for make-up work to accommodate scheduling conflicts with Student’s after-school sports activities. 27. It was Ms. Holley’s experience after over 20 years of teaching that high school freshmen often had difficulty transitioning from junior high school because expectations of them in high school were so much higher. Student’s difficulties with completing assignments and turning in completed work were indicative of other boys in her class. Student’s nervousness at doing in-class writing assignments was something shown by many other of Ms. Holley’s students, including those in her honor’s classes. Student did not really demonstrate any anxiety or panic in class that was remarkable to her. Student therefore did not stand out as unique or problematical to Ms. Holley. 28. Mother continued to actively review Student’s work in Ms. Holley’s class and sit with him while he did assignments so that she could confirm that they were completed. Mother notified Ms. Holley that she would keep Student “on track” with his reading even if she had to read with him. Mother also informed Ms. Holley that it was math that had emerged as Student’s most difficult subject. 29. Ms. Holley continued giving Student opportunities to do make-up work and extra credit, as she did generally for all her students. She also permitted Student to type work rather than do it in longhand. Student earned a “C+” in ninth grade English the first semester and a “C” the second semester. 30. In her communications with Ms. Holley, Mother never elaborated on the level of assistance she was providing to Student with regard to his English assignments. There was nothing in the work Student produced or in emails from Mother during the majority of the 2010-2011 school year that would have or should have alerted Ms. Holley that Student was too anxious to do his work or that Mother was actually doing it for him. There was no reason for Ms. Holley to believe that Student was a child with a disability and that an assessment for special education was warranted. 31. Mary Jespersen was Student’s teacher for Spanish in ninth grade. She was called to testify only for the instant, non-expedited hearing in this case. 32. Ms. Jespersen has taught for a total of approximately nine years. She holds a master’s degree in cross-cultural education and is a credentialed teacher. She has taught at Kennedy since 2006. 33. Student was in Ms. Jespersen’s Spanish I class. She recalls him as being a typical freshman boy. At times he was focused in class, at times he was not. Like many freshmen, Student appeared to have a hard time transitioning to high school and the higher level of accountability expected of high school students. 34. One of Student’s problems in Ms. Jespersen’s class was the illegibility of some of his writing assignments. When Student took his time, however, his writing became much more legible. Ms. Jespersen provided Student with accommodations such as extended time to finish assignments and permitting him to type rather than handwrite his assignments. 35. There is no evidence that Student had any significant difficulties in his Spanish class for the majority of his first semester of ninth grade. Mother did not begin corresponding with Ms. Jespersen until early January 2011, toward the end of the first semester. As she had with Ms. Holley, Mother emailed Ms. Jespersen to determine if Student could make up work he missed before winter break when he was ill for a week. As had Ms. Holley, Ms. Jespersen readily agreed to permit Student to make up the lost work. 36. Mother and Ms. Jespersen continued their open lines of communication regarding Student’s progress in Spanish class for the remainder of the school year. Ms. Jespersen would inform Mother if Student was failing to pay attention in class and Mother would then discuss it with Student at home. Ms. Jespersen also continued to notify Mother if Student failed to turn in or fully complete assignments. Ms. Jespersen continued to permit Student additional time to complete assignments he had failed to turn in. She also permitted Student to type some of his work. As with her other Students, Ms. Jespersen provided Student with many opportunities for extra credit so that he could improve his overall grade. 37. Mother continued to be very involved in monitoring Student’s completion of assignments. She informed Ms. Jespersen that she would review Student’s assignments with him and would have Student redo the work if it was not correct or if it was not legible. However, Mother never gave any indication to Ms. Jespersen that Student was not capable of completing his assignments with the accommodations Ms. Jespersen was providing to him. Nor did Mother ever indicate that Student was not completing the work himself. 38. Student earned a grade of “C” in Spanish in the first semester of ninth grade and a grade of “C+” by the end of the second semester. Student presented as a typical freshman boy to Ms. Jespersen for the majority of the school year. He was not a behavior problem. He sometimes had difficulty attending but was easily re-directed. He had difficulty finishing assignments but was able to maintain a satisfactory grade through monitoring of his work by both Ms. Jespersen and Mother. Until the incident that occurred at the end of the school year, as discussed below, none of Student’s behaviors in Ms. Jespersen’s class gave her any reason to believe that Student might be a child with a disability who should be referred for a special education assessment. 39. Although Student had anxiety about school in ninth grade, particularly in Algebra, there were few manifestations of it at school during the first half of the school year. Nor is there evidence that Mother had oral or email discussion with District staff concerning issues Student may have had relating to anxiety or panic attacks, or other health issues during that time. 40. Student’s emotional state began to deteriorate in spring 2011. His emotions were up and down. He was reacting poorly at home if something negative or bad happened either at home or at school. He was apparently having emotional breakdowns at home. Mother, who testified at both hearings in this matter, described Student as “emotionally raw.” However, Mother did not discuss with Student’s teachers or other District staff any of the issues Student may have been having at home. Nor is there any evidence that Student shared this information with District staff. There is no reason that the District would have had any notice of the severity of Student’s mental health at the time. 6 Ms. Houston did not testify at either of the hearings in this matter. 41. In late March 2011, Amber Houston, 6 Student’s teacher for AVID 7 emailed Mother that Student was “disengaged” in class. Mother replied that Student had been “off” for a week or so, and attributed Student’s disengagement to his ongoing struggles with math. In a reply email, Ms. Houston commented that Student previously never had been much of a problem in her class, but that lately it appeared as if he was angry with something. Ms. Houston had inquired of other students in the class if they were aware of any issues with Student, but no one knew why he appeared so aggressive and “shut off.” Student also appeared annoyed and mad at everyone. Ms. Houston thought it perhaps was just a fluke. There was no subsequent correspondence between Mother and Ms. Houston regarding Student and no indication that Ms. Houston had any other concerns about Student. Student’s grade in AVID at the end of the second semester of ninth grade was a “B.” Further, there was no other communications between Mother and any other of Student’s teachers during this time addressing Student’s mental health issues either at home or at school. 42. However, on June 6, 2011, Student suffered a significant anxiety attack or panic attack in Ms. Jespersen’s class. Ms. Jespersen gave him permission to leave class and go to the health office. It looked to Ms. Jespersen that Student was about to cry. Ms. Jespersen thought that Student may have been upset because she had separated him in class from a girl with whom he was friends, but Student had never mentioned anything to her about the relationship. 43. When Student arrived at the office, he told health clerk Dona Hackworth that he did not feel well and wanted to go home. Ms. Hackworth asked Student what was wrong as he appeared quite anxious. Student, who was almost 16 years old at the time, then burst out crying. Ms. Hackworth had Student wait for the rest of that school period, and then she had Student return to his next class. 44. Kennedy’s health office is not staffed by a nurse or other personnel with formal medical training. Rather, Kennedy’s health office is staffed by a health technician. Dona Hackworth has been a health technician for approximately eight years, the last three and a half of which have been at Kennedy. Ms. Hackworth testified at the instant hearing. It was obvious that she is dedicated to her job and, most importantly, to the students she assists. However, Ms. Hackworth, who is a high school graduate with some community college coursework completed, has no formal medical training other than a CPR certificate, some first aide training, and some training in medical terminology. The District has not provided her with specific training on how to recognize or treat any type of illnesses, including anxiety or panic attacks. 45. The health technician is supposed to use the District’s Zangle program to indicate that a student has gone to the health office. For each student, the program has a field to list immunizations. It also has another field to list office visits. The program contains a field to put in the date of the office visit. There is a field to list any “services” provided to the student. There is also a field to list “disposition,” such as whether the student returned to class, was released to his or her parents, or was sent home. 46. There is also a field to indicate the description of the basis for the student’s office visit, but this is based on selecting a descriptor from a drop down box. “Anxiety” and “panic attacks” are not listed. Therefore, if any student presents at the office with those issues, the only appropriate descriptor in the drop down list is “other.” There is no specific District protocol for when the health technician is supposed to describe the reasons a student has gone to that office. Over the years Ms. Hackworth has been at Kennedy, she sometimes wrote down a description of Student’s problems in a field on the Zangle program called “health visits.” Often, neither she nor her predecessors would write anything down. For example, on June 6, 2011, when Student left Ms. Jespersen’s class to go to the health office, burst out crying when he arrived there, and was sent back to class by Ms. Hackworth, there is no note in the health notes field describing the incident. 47. The District has not given Ms. Hackworth any specific training, directives, or District protocols in what to do when students present at the office with mental health issues such as anxiety attacks. There is no procedure on how to address a situation where a student shows a pattern of leaving class for any reason to access the health office. There is no procedure for the health technician to inform any school counselor or school administrator of these issues. Nor is there any specific protocol for the health technician to implement in determining how to respond to any mental health issues with which a student might present at the health office. 48. Ms. Hackworth did call Mother to let her know what had happened and that she had sent Student back to his next class. She also told Mother that her own son had had a very “anxious, depressed” period when he was in college and that she recognized the same in Student’s face. Ms. Hackworth let Mother know that Student could go to the health office anytime he needed to “decompress.” However, since there was no protocol for doing so, Ms. Hackworth did not tell anyone at the District about Student’s June 6, 2011 breakdown in her office or her conversations with Mother. 49. Mother emailed Ms. Jespersen the day after the June 6, 2011 incident. Mother informed her that Student was going to miss school on June 8 because she was taking him to see a therapist in order to figure out what was going on with him. Mother told Ms. Jespersen that she had made the appointment two weeks previously because Student was “unraveling.” Mother also told Ms. Jespersen that she did not want to ask Student too many questions because lately he had been “spooking” so easily when Mother questioned him. 50. Ms. Jespersen replied to Mother’s email expressing her concern that Student had been sent back to class after bursting out crying in the health office. Ms. Jespersen also expressed her concern that Student’s “I don’t care behavior” lately at school was really a defense mechanism of some sort. Ms. Jespersen made herself available to Mother to help with Student in any way. 8 Neither Dr. Litzinger nor Dr. Polachek testified at either hearing in this matter. 52. Student saw adolescent psychiatrist Dr. Jeffrey Litzinger on June 8, 2011, as planned. Student later also began clinical counseling treatments with Dr. Matthew Polachek, who works with Dr. Litzinger. 8 The next day, Mother emailed Ms. Jespersen that the doctor had diagnosed Student with anxiety and panic disorder and had prescribed medication to address those illnesses. Mother also stated that the doctor believed Student suffered from ADD, which Mother had not anticipated. The doctor was going to further examine Student the following week for an ADD. The doctor had explained to Mother that ADD was comorbid with anxiety and anger issues. He also explained that sometimes ADD did not become apparent in children until high school because instruction becomes more difficult and the children become unable to cope with the level of difficulty. Mother also informed Ms. Jespersen that family therapy was going to be part of the treatment to address Student’s issues. 53. Mother further informed Ms. Jespersen that she was going to go to the school and request a 504 plan for Student. 54. Ms. Jespersen replied to Mother the same day that she did not see the “hyperactivity” portion of ADHD on Student’s part in her class, although she could possibly see the “attention deficit” portion of the disorder. She also could see the coping issues because ninth grade could be very difficult. Ms. Jespersen advised Mother to inform all of Student’s teachers that he was going to be taking medications. Ms. Jespersen agreed that getting the 504 plan was important, particularly for the following school year, to address Student’s issues, including his difficulties with writing. 55. Mother then emailed Ms. Jespersen to let her know that she had contacted Ms. Hackworth to inform her that Student would be taking medication. Mother also confirmed to Ms. Jespersen that the doctor also felt that Student did not have any hyperactivity, but rather that he suffered from attention deficit disorder. 56. Mother also emailed Ms. Holley on June 9, 2011, to inform her of Student’s visit to the psychiatrist due to Student’s anxiety and anger issues and the possibility of an ADD diagnosis. Mother also mentioned that Student himself had been telling her since he had started high school that he felt he had ADHD. This was the first time Mother had stated this to anyone at the District. Mother also informed Ms. Holley that the doctor was going to test Student the following week for ADD and, if necessary, add medication to address that disorder in addition to the anxiety medications already prescribed for Student. 57. Mother informed Ms. Holley that she was going to talk to the school’s counseling office about instituting a 504 plan for Student. Ms. Holley replied that she had obtained a 504 plan for her own son and that she felt that such a plan would be beneficial for Student as well. 58. On June 10, 2011, Mother wrote to Mr. Rollerson to let him know the course of events that week with Student. Mother informed him about Student’s anxiety attack the previous Monday (June 6), Student’s visit with the psychiatrist on June 8, and the diagnoses of anxiety disorder and possible ADD. As Mother had with Ms. Holley and Ms. Jespersen, Mother profusely thanked Mr. Rollerson for his help with Student that school year. 59. On June 14, 2011, the Tuesday of the last week of the 2010-2011 school year, Mother emailed Ms. Jespersen that the anti-anxiety medication that Student was taking was showing positive results. Mother informed Ms. Jespersen that they had a weekend without a major fight or emotional breakdown at home. Mother also mentioned that she had informed the school counseling office that she would be seeking a 504 plan for Student the next school year. 60. The District 2010-2011 school year ended the week of June 14, 2011. 61. Unbeknownst to the District at the time, Student had a tense summer at home. Although he was seeing either Dr. Litzinger or Dr. Polachek once a week, Student continued to have panic attacks and anxiety attacks. 62. On August 3, 2011, Student had an emotional breakdown at home. The overt impetus for the breakdown was prompted by an argument at home concerning Student’s refusal to attend a judo class that was part of his training for the wrestling team. When Student refused to go, his biological father, who has been divorced from Mother for many years, telephoned and threatened basically to beat Student into submission. Student lost control, snapped, and lost connection to reality. He began to believe that his father was going to come and kill him. Student was screaming and yelling. He then pepper sprayed the living room because he thought his father was coming to kill him. This caused the family dogs to start choking and barking. Student began opening and closing windows, saying that he was going to jump off a balcony and kill himself before his father could do so. Student’s stepfather then telephoned, based on prompting from Mother, and tried to calm Student. Student did not calm down. Instead, he grabbed a knife and said that he was going to kill himself. Student also grabbed his brother’s martial arts belt and said that he was going to kill himself with that. Eventually, Student’s stepfather called the police to report what was happening. An ambulance was sent to Student’s home. Student was removed by the ambulance and taken to College Hospital where he was admitted for psychiatric observation and treatment. 63. Student was released from College Hospital on August 9, 2011. The discharge papers state that the hospital was releasing Student to return to school without any restrictions. 9 Much of the testimony of Mother and District witnesses regarding the events during school registration for school year 2011-2012 and the events concerning Student’s 504 plan meeting was presented during their testimony in the expedited portion of this case in April 2012, as transcribed in Joint Exhibit 1. 65. Mother worked at the PTSA table during school registration in late August 2011, before the 2011-2012 school year began. Student had been home from his psychiatric hospitalization for about two weeks at that point. 66. Mother saw Student’s counselor, Helen Yee, and Kennedy Assistant Principal Nasouf, during the Kennedy school registration period which was just prior to the start of the school year. In each case, she told them that Student had attempted to commit suicide and had been psychiatrically hospitalized as a result. Neither Ms. Yee nor Mr. Nasouf discussed with Mother or each other the possibility of referring Student for a special education assessment after being told this information. 67. When Mother filled out Student’s enrollment papers for 10th grade at the beginning of the 2011-2012 school year, she did not mention his suicide attempt, his hospitalization, or identify his medications. Mother was concerned that this information would be seen by non-District personnel and therefore Student’s private information would not remain confidential. 69. By this time, Dr. Litzinger and/or Dr. Polachek had diagnosed Student with depression, obsessive compulsive disorder, and, around September 2011, with intermittant explosive disorder and some type of bipolar disorder with manic outbursts. Their treatment goals for Student were to stabilize his moods, enable Student to cope with his anxiety and depression, prevent Student from harming himself, and find medications that would be effective for him. However, Dr. Litzinger did not specifically raise any issues other than anxiety and attention deficit in his September 2, 2011 letter. 70. Mother faxed a copy of Dr. Litzinger’s letter to Ms. Yee on September 8, 2011, shortly after the start of the 2011-2012 school year, along with a letter of her own. In her letter, Mother requested a 504 plan for Student because she believed that Student was at risk of failure without a clear plan in place to address his disabilities. Ms. Yee immediately began preparations to convene the 504 plan meeting for Student, including coordinating a date that would be convenient to Mother. The 504 meeting was ultimately scheduled for September 22, 2011. 71. Student continued to experience severe anxiety in the three weeks between the time school started and the day the District held his 504 plan meeting. Marlene Wu, Student’s English teacher, emailed Ms. Yee to let her know that Student was leaving class frequently, ostensibly to use the restroom, and that he would be gone for extended amounts of time. 72. From the start of the school year in late August 2011, until his 504 plan meeting on September 22, 2011, Student also left class five times to go to the health office due to anxiety, with one incident occurring just three days before the 504 plan meeting took place. In each case, Ms. Hackworth entered information into the health notes field of Student’s Zangle records that Student had experienced anxiety. In four of the five situations, Ms. Hackworth gave Student a pass and directed him to go walk around the track to calm down, and then had Student return to class. Ms. Hackworth notified Mother of this on a couple of these occasions. She did not notify any District teacher or administrator of the fact that Student had gone to the health office five times over less than three weeks or of the fact that she was having Student walk around the track as a calming mechanism. 73. On September 21, 2011, the day before Student’s 504 plan meeting, Mother sent an email to Student’s teachers for the fall 2011 semester, with a copy to Mr. Nousef, to give them some background on Student. She informed them of Student’s increasing difficulties in school the year before and that he had started to suffer severe anxiety and panic attacks. Mother told them that Student was on medication for anxiety and ADHD. Instead of informing the teachers of Student’s loss of reality and suicide attempt in early August, Mother stated that Student’s medications had not worked and that one of the medications had caused him to have a severe psychological reaction for which Student was hospitalized. However, by the time Mother sent this email, she had informed both Mr. Nasouf and Ms. Yee of Student’s suicide attempt and resulting hospitalization. 74. In her email, Mother also stated that Student had been placed on three medications to stabilize both his anxiety and his moods, as well as to increase his ability to focus. Mother also informed that Student continued to see both a psychiatrist and a psychologist. Mother was concerned again that the information concerning Student’s mental health problems might become public, and she requested the teachers to keep the information confidential. 75. Ms. Yee was present at the 504 plan meeting and took the meeting notes. Assistant Principal Yousef Nasouf attended as the administrative representative. Four of Student’s teachers also attended: Colin Cornforth, Student’s history teacher; David Wiskus, Student’s Algebra I-Plus teacher; Cynthia Esparza, Student’s Three-D art teacher; and Marlene Wu, Student’s English teacher. All these District attendees testified at both hearings in this matter with the exception of Ms. Esparza, who only testified at the first proceeding. Their testimony was consistent at both hearings. Mother and Student attended the meeting as well. Ms. Yee gave an introduction to the meeting and explained to the participants that they were there to create a 504 plan for Student based on his diagnosis of ADHD and anxiety by his treating psychiatrist. 76. Each of the teachers present at the meeting discussed Student’s performance and behavior in their respective classrooms. Mr. Cornforth noted that Student had been anxious in his class and that the medications Student was taking for his ADHD and anxiety were making him drowsy in class. Student also frequently requested permission to leave class and use the restroom. He would be gone 10 to 15 minutes. Student also asked to go to the health office occasionally. 77. David Wiskus, Student’s Algebra I-Plus teacher, discussed Student’s struggles with math and the daily problems Student had remaining focused in class. He discussed that Student was lethargic and was not using class time wisely. Mr. Wiskus had spoken to Mr. Nasouf before the 504 meeting about Student’s difficulties and discussed the possibility of reducing Student’s homework problems. 78. Cynthia Esparza, Student’s art teacher, discussed that Student was restless in her class and needed to take many breaks. Although school had only been in session a few weeks at the time of the 504 meeting, Student had already used up his allotted hall passes for the semester in Ms. Esparza’s class. 79. Ms. Wu discussed the fact that Student had great difficulty concentrating in her class. He could not sit still and frequently would ask for restroom breaks. Student’s writing was sloppy. He had difficulties with attention and could not focus on his work. Student did not misbehave in class but he seemed anxious. At times he would discuss his feelings of anxiety with Ms. Wu but was unable to articulate why he felt anxious. Ms. Wu also informed the 504 team that Student had organizational issues. He was unable to keep his notebook in order and had problems completing homework on time. 80. All teachers present at the 504 meeting reported on Student’s problems in their respective classes. Some left immediately after their presentations to return to their classes. The remaining people present at the meeting, including Mother, Student, Ms. Yee and Mr. Nasouf, then turned the discussion to Student’s diagnosis of ADHD and anxiety, and Student’s psychiatric hospitalization the previous summer. During his testimony, Mr. Nasouf recalled that there was a discussion that Student was suffering some type of depression, but the 504 team did not focus on that during the meeting. Rather, the team discussed that Student’s anxiety was negatively impacting his ability to focus in class and was therefore impeding his ability to learn. The team also discussed that Student was taking prescribed medication for anxiety, for his ADHD, and for his moods, and that the medication could be negatively affecting Student’s focus in class. However, it is clear that the team, and specifically Mr. Nasouf and Ms. Yee, were aware that Student had attempted suicide. They also were aware that he suffered from depression, and that of his three prescribed medications, one of them was specifically prescribed to treat Student’s moods. 81. Ms. Yee stated at hearing that the District was fairly certain Student would qualify for a 504 plan even before the meeting convened based upon Dr. Litzinger’s letter. At the meeting, all 504 team members agreed that Student was eligible for a 504 plan based on his anxiety and ADHD. All team members agreed that Student required accommodations because his ability to learn was impaired due to his anxiety and ADHD. The team developed 14 accommodations for Student, including the accommodations recommended by Dr. Litzinger in his letter of September 2, 2011. The accommodations consisted of preferential classroom seating; extended time for assignments when necessary; copies of notes to be emailed to Mother; the use of a daily planner to be checked by Mother; alternative environments in which to take tests as needed; teacher monitoring of Student’s needs; before and after school support from Student’s teachers; permission for Student to take small breaks as needed when he felt anxious; permission for Student to email assignments to his teachers; permission to work with another student in class to review class work; creation of “to do” and “due” folders to organize class assignments; oral exams rather than written exams in History and English; reduced number of problems in math, to be increased as Student progressed; and ongoing advance communication with Mother regarding Student’s upcoming class assignments. 10 The term “assessment” is used under California law while the term “evaluation” is used under federal law. The terms both refer to the administration of testing instruments to children to determine if they qualify for special education. The terms are used interchangeably in this Decision. 82. Mother did not request a special education assessment 10 for Student at this meeting and did not express any concerns that the 504 plan was inadequate. None of Student’s teachers, Ms. Yee, or Mr. Nasouf discussed the possibility of a special education assessment for Student or that Student qualified or might qualify for special education interventions. All District staff present at the meeting signed the 504 plan. Mother and Student did so as well. 83. All of Student’s teachers implemented his 504 plan. However, the parties dispute whether the 504 plan accommodations for Student were successful. While the testimony of Student’s teachers did indicate that Student improved somewhat, each teacher acknowledged that Student continued to have problems after the 504 plan was effectuated. Student continued to take breaks while in Mr. Cornforth’s by going to the restroom or to the health office. Student continued to “zone out” frequently in Mr. Cornforth’s class and neglected to do his homework. Student’s grades hovered near failing in Mr. Cornforth’s class for the first part of the semester. Through considerable effort on Mother’s part as well as implementation of the 504 plan, Student managed to pull the grade from failing midsemester to a “C-” by the end of the semester. Mr. Cornforth acknowledged that Student did not earn the grade on his own. 84. Mr. Wiskus also implemented Student’s 504 plan. However, he stated at hearing that the plan only partially addressed Student’s inattentive behavior. Student continued to struggle to use his class time wisely in Mr. Wiskus’s class. He continued to have trouble with organization and Mr. Wiskus was aware that Mother was helping Student complete work. Student also continued to leave class daily to go to the restroom, although Mr. Wiskus would often see Student talking with friends outside the classroom rather than going to the bathroom. Although Student’s lethargy improved, he was still lethargic in class. Mr. Wiskus was uncertain of the causes of the lethargy. Mr. Wiskus thought that the lethargy could even be related to illicit drug use, based on similar behavior he had seen in other pupils. However, he did not think it was significant enough to discuss with school administrators. 85. Ms. Wu believes that Student’s attention and focus improved in her class after she began implementing his 504 plan and that he decreased the amount of times he left class to take breaks in the restroom. However, she acknowledged that Student still had difficulty turning in assignments, that Mother was giving Student considerable assistance in organizing his work, and that Student continued to leave class to take breaks. In an email to Mother in early December 2011, Ms. Wu stated that Student was leaving class about three times a week to take breaks even though Student was in her class right after lunch. Ms. Wu indicated that the breaks were interfering with Student’s class time. She asked Mother to work with Student to get him to take his breaks during lunch. 86. Student continued to have some problems in his non-academic art class even after Ms. Esparza implemented his 504 plan. He still had problems keeping motivated and staying on task. However, by the beginning of the second semester of 10th grade, Student showed some improvement. Although he would sometimes forget instructions, he would listen to them. Ms. Esparza found it helpful to repeat the instructions for Student or change the way she gave him directions. She acknowledged that Student continued to take breaks and leave the classroom for a few minutes on a daily basis. 87. None of Student’s 10th grade teachers at Kennedy believe that Student should have been referred for special education assessment. They all agree that he did not misbehave in their classes and that the 504 plan with its wealth of accommodations was meeting his educational needs. However, they all acknowledged at hearing that in varying degrees, the 504 plan had not resolved all of Student’s anxiety and inattention issues. 88. Dr. Perry Passaro is licensed in California as both a psychologist and an educational psychologist. He has worked as a school psychologist for school districts and the Orange County Office of Education. He has also worked as a program specialist, as an assistant principal, as a principal, and as a special education director in another state. Additionally, Dr. Passaro has taught school psychology at the university level, courses which included assessment practices for school psychologists. During part of his career, Dr. Passaro was responsible for supervising other school psychologists. Dr. Passaro has a master’s degree in education and a doctorate in educational psychology. 89. Student’s parents contracted with Dr. Passaro to assess Student in April 2012. This was subsequent to Student’s removal from Kennedy due to his acknowledged purchase of marijuana from a fellow student. Dr. Passaro assessed Student between April 14 and April 17, 2012, immediately before District school psychologist Aeri Kwak began her assessment of Student pursuant to his parents request for a special education assessment. 90. Dr. Passaro conducted a complete assessment of Student, including the administration of standardized tests, interviews with Student’s Mother and teachers from Kennedy and the District community day school at which Student had been placed, and a review of Student’s records. Dr. Passaro also obtained information from Dr. Litzinger and Dr. Polachek. The results of Dr. Passaro’s assessment are not at issue in this case. 91. Based on his assessment, Dr. Passaro concluded that Student had average to low average cognitive abilities. Student’s academic achievement was basically in the average range. Dr. Passaro therefore found that Student did not present with indications that he has a specific learning disability. There is no disagreement between the parties as to this point. 92. As one of the many testing instruments administered to Student, Dr. Passaro used the Minnesota Multiphasic Personality Inventory-Adolescent Version (MMPI-A). On this test, Student reported many symptoms of anxiety, tension, and worry. He reported that life was a strain for him that he possibly felt that his problems were insurmountable. Student indicated a pervasive feeling of dread, and worrying beyond reason over trivial matters. Student reported having physical symptoms such as gastrointestinal problems, neurological problems, pain, and sensory problems, because of his emotional deterioration. Student reported signs of depression as well. 93. In his report, Dr. Passaro found that Student met the clinical criteria for depressive disorder not otherwise specified, ADHD, anxiety disorder not otherwise specified, and obsessive compulsive disorder. Dr. Passaro also found that Student’s primary eligibility for special education and related services was best explained under the category of emotional disturbance. He found that Student presented a general pervasive mood of unhappiness or depression, with symptoms accounted for by a mood disorder, which had existed for an extended period of time and was not the result of a temporary situation or event. Dr. Passaro further found that Student qualified as ED because he had demonstrated inappropriate types of behaviors or feelings under normal circumstances exhibited in several situations. 94. Significantly, Dr. Passaro found that the District should have undertaken a comprehensive psycho-educational assessment, including input from Student’s treating mental health providers, at the time the District first became aware of Student’s psychiatric hospitalization. 95. During his testimony at this hearing, Dr. Passaro reiterated his position that the District should have taken a more proactive approach to Student’s needs once it became aware that Student had attempted suicide and been hospitalized as a result. Dr. Passaro opined that once Mother informed District staff of Student’s attempted suicide, reiterating the information at Student’s 504 plan meeting on September 22, 2011, District staff should have immediately requested Mother’s permission to contact Student’s mental health providers. Had they done so, Dr. Litzinger and Dr. Polachek would have provided sufficient information to warrant an immediate referral by the District of an assessment for Student. 96. Interestingly, Dr. Passaro did not believe that Student’s grades in and of themselves were red flags for the District because Student had been progressing from year to year with relatively similar grades. Dr. Passaro also believed that the 504 plan developed by the District for Student would have been adequate had Student only been suffering from ADD and even anxiety. Dr. Passaro opined that having Student leave class to work through his anxiety was not inappropriate. However, he also stated that having Student leave class was not appropriate given the fact that Student was actually depressed and suicidal in addition to suffering from anxiety. Under the latter circumstances, Dr. Passaro believed that it was not appropriate to permit a child suffering those type of mental health issues to leave class unmonitored when feeling anxious or depressed. 97. Ultimately, Dr. Passaro stated that Student required both individual and family therapy to address his significant mental health needs. 98. School psychologist Aeri Kwak testified as an expert for the District at the instant hearing. Ms. Kwak has held a pupil personnel services credential for over 10 years, which qualifies her to work as a school psychologist. Her duties are to provide individual and group counseling services to students, administer assessments, attend 504 team meetings and individualized educational plan meetings, and to consult with teachers about students’ needs. She is assigned to one other school in addition to Kennedy. 99. Ms. Kwak was assigned to conduct the assessment of Student after his parents requested the assessment and thereafter signed an assessment plan on March 7, 2012. She administered her assessment between April 18 and April 26, 2012, beginning it just one day after Dr. Passaro finished his assessment. Ms. Kwak observed Student at the community day school, his then school placement, on April 18, 2012, the day after Dr. Passaro had observed him there. 100. Like Dr. Passaro, Ms. Kwak did a full assessment of Student that included standardized tests and a review of Student’s records. She interviewed Student, one of his present teachers, and Student’s mother, and also observed Student in his classroom at the community day school. However, in the course of her assessment she did not become aware of Student’s anxiety attack in Ms. Jespersen’s class in June 2011, and did not become aware of the fact that Student was leaving class in September 2011 to go to the health office because of his anxiety. 101. Ms. Kwak administered the Behavior Assessment System for Children (BASC) as part of her assessment. The BASC consists of rating scales filled out by various respondents. The BASC contains 12 clinical scales and four adaptive scales. Generally speaking, the scales and scores measure maladjustment. For the clinical scales, scores between 60 and 69 indicate a child is “at risk,” signifying either that the problem is not yet severe enough to require formal treatment, or that a problem has a possibility of developing and thus may require monitoring. Scores of 70 or above are in the “clinically significant” range, suggesting that the child has a high area of maladjustment in that area. The adaptive scales measure coping skills. A lower score indicates poor adaptive behavior skills. 102. Ms. Kwak had Student, Mother, and four of Student’s former teachers at Kennedy (Ms. Wu, Mr. Wiskus, Mr. Cornforth, and a Business Systems and Technology teacher with the last name of Sibley, who did not testify at either hearing in this matter) fill out the BASC. 103. Student self-rated himself as clinically significant on eight of 12 areas on the BASC clinical scales, and at risk on three more. He rated himself as clinically significant on the self-esteem and self-reliance areas of the BASC adaptive scales. Mother likewise rated Student in the at-risk or clinically significant range in a number of areas as well. 104. Student’s teachers based their rating scale responses on recollections of Student from months earlier since he had ceased attending classes at Kennedy more than two months before the testing. Their recollections, however, indicated that Student was elevated in a number of areas. 11 Somatization is the conversion of anxiety into physical symptoms. 105. Ms. Wu, Student’s former English teacher, found Student to be at risk for hyperactivity, adaptive skills, conduct problems, and learning problems. She rated Student clinically significant in the areas of anxiety, somatization, 11 attention problems, and functional communications. 106. Mr. Wiskus, Student’s former Algebra teacher, rated Student at risk in the areas of hyperactivity, somatization, social skills, leadership skills, functional communication, and adaptive skills. He rated Student clinically significant in the areas of attention problems, conduct problems, learning problems, and study skills. 107. Mr. Cornforth, Student’s former history teacher, rated Student as at risk in the areas of learning problems, social skills, leadership skills, functional communication, and adaptive skills. Mr. Cornforth only rated Student clinically significant in the areas of attention problems and somatization. 108. Finally, Sibley, Student’s former Business Systems and Technology teacher, rated Student at risk in the areas of anxiety, attention problems, social skills, leadership skills, and adaptive skills. Sibley did not rate Student as clinically significant in any area. 109. The teachers’ ratings indicated that two of them found Student relatively high for behaviors associated with general anxiety disorder. Two other teachers rated Student high for behaviors associated with conduct disorder. 110. Ms. Kwak also administered a test called the Scale for Assessing Emotional Disturbance (SAED) by giving the scales to Mother and four of Student’s teachers: two from his alternative placement at the community day school, and two from Kennedy. The two teachers who completed the SAED from Kennedy were Ms. Wu and Mr. Wiskus. 111. The SAED is used to identify the likelihood of a student having an emotional disturbance. The test generates a standard score and a percentile rank. The test looks at the five areas associated with emotional disturbance under educational criteria: inability to learn, relationship problems, inappropriate behavior, unhappiness/depression, and physical symptoms/fears. A likelihood of emotional disturbance is found when a standard score of 14 and above is generated. 112. Not surprisingly, Mother scored Student at 18, and thus highly indicative of ED, in the area of inability to learn. She also scored Student at 18 in the areas of unhappiness/ depression, and at 20 in the area of physical symptoms/fears, also both highly indicative of ED. 113. The scoring by Student’s teachers was unexpected. None of the scores by Student’s present teachers at the community day school were indicative of ED in any of the five areas. Conversely, Ms. Wu’s score for Student in the area of inability to learn was a 14, indicative of ED. She also scored Student at 16 in the area of physical symptoms/fears, which also was indicative of ED. Ms. Wu indicated on this test that Student had difficulty paying attention, could not independently complete schoolwork, became distracted, and showed nervous habits, such as biting his nails. Ms. Wu considered these behaviors to be severe. 114. Mr. Wiskus scored Student at 14 in the area of inability to learn, which was indicative of ED. Mr. Wiskus also indicated that Student’s homework skills were poor, Student did not pay attention, was distracted, and lacked interest, motivation, or a positive attitude toward school. 115. Ms. Kwak’s assessment results were similar to those obtained by Dr. Passaro. She found Student’s overall intelligence quotient to be in the same range. She also found that Student did not qualify for special education and related services under the category of specific learning disability. Like Dr. Passaro, Ms. Kwak found that Student qualified under the category of OHI based upon his ADHD diagnoses. Ms. Kwak also found that Student appeared to meet eligibility under ED as well. Like Dr. Passaro, Ms. Kwak found that Student presented a general pervasive mood of unhappiness or depression. Unlike Dr. Passaro, Ms. Kwak did not find Student demonstrated inappropriate types of behavior or feelings under normal circumstances; it is unclear why Ms. Kwak discounted Student’s suicide attempt and hospitalization when making this finding. However, Ms. Kwak also found that Student would additionally qualify as ED as he demonstrated a tendency to develop physical symptoms or fears associated with personal or school problems. 116. The District held an individualized educational plan (IEP) meeting for Student after Ms. Kwak and Dr. Passaro completed their assessments. Student’s IEP team found him eligible for special education at that time. 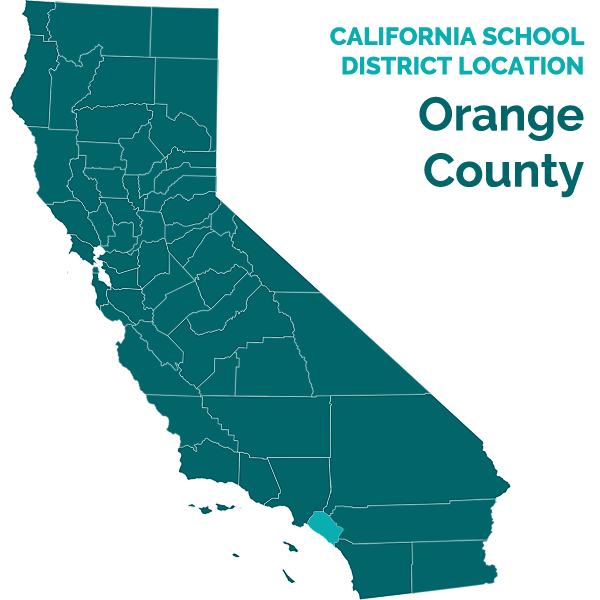 As part of Student’s IEP, the District offered to provide Student with counseling sessions two times a month for 30 minutes a session, as well as to refer Student to the Orange County Health Care Agency. Student’s parents accepted this offer of mental health services. 117. At hearing, Ms. Kwak opined that there was no reason for the District to suspect that Student might be a child with a disability before his parents requested he be assessed in late February 2012. She believed that the District’s provision of a 504 plan adequately met Student’s needs at the time. Additionally, Ms. Kwak did not believe that Student would have qualified for special education prior to her assessment. She stated it was Student’s removal from Kennedy and transfer to the community day school that was the catalyst for the mental deterioration behind her ultimate finding that Student was emotionally disturbed as of late spring 2012. Ms. Kwak does not believe that Student’s suicide attempt and resulting hospitalization were serious enough incidents by themselves to be signs of possible emotional disturbance in a student. 118. The District presented the testimony of Dr. Frank Donavan to explain district child find practices and procedures. Dr. Donavan is the Director of the Greater Anaheim Special Education Local Plan Area (SELPA). He has held that position for three and a half years. His role is to ensure that fiscal, procedural, and legal matters are being followed under the various statutes and regulations that govern the provision of special education by school districts who are members of the SELPA. Dr. Donavan holds a master’s degree in special education, another master’s degree in education administration, and a doctorate in education. He was previously a Director of a special education department at a school district, has taught emotionally disturbed children, and has taught students at juvenile hall. Dr. Donovan does not know Student and has not been part of any decisions concerning him. 119. Dr. Donavan explained that the SELPA and the District systematically seek out children who may require special education services. Their obligation is to ensure that the SELPA and its member school districts have policies and procedures in place to locate children who truly have a suspected disability. Annually, the SELPA publishes an explanation of what child find is in all local newspapers. The SELPA also meets with local private schools twice a year to explain special education rights. The SELPA child find policy is posted in libraries and at the school districts’ offices. It is also included in each student’s school enrollment packets. 120. Additionally, SELPA directors meet monthly to discuss matters such as child find. The SELPA has two full-time program specialists assigned to the District whose duties include assisting with child find issues. Dr. Donavan indicated that the first tier of intervention is to exhaust all general education support for a child before going to the more intensive tier of assessing for special education needs. Student study teams and 504 plans are part of the lower level tier of general education supports. 121. The District presented sufficient evidence that it has in place substantial child find policies and procedures as a whole. Student does not contend otherwise. Mother acknowledged receiving the child find information in her sons’ enrollment packets and of being aware of child find generally. In her case, she simply did not believe that Student’s issues came within the purview of special education support. However, the issue here is not whether the District per se failed to adequately address its child find obligations globally, or whether Mother failed to receive information regarding the District’s child find policies. Rather, the issue is whether the District should have assessed Student at a time prior to when it did, and if it had, whether Student would have been found eligible for special education at that time. As discussed below, the answer to both those questions is in the affirmative. 122. ALJ’s have broad latitude in fashioning equitable remedies for the denial of a FAPE, including but not limited to ordering compensatory education and additional services for a student. An award to compensate for past violations must be based on a fact-specific assessment of the consequences of the district’s violation, and must be such that the aggrieved student receives the educational benefit he or she would have received, had the school district complied with the law. An award of compensatory education may, but need not, provide day-for-day compensation. 10. Compensatory Education/Reimbursement. It is Student’s burden to present admissible evidence during his case in chief of any expenditure that he contends the District should be ordered to reimburse. It is also Student’s burden to provide evidence of the type, amount, duration, and need for any requested compensatory education, or the need for any other remedy requested. 124. During the hearing in this matter, the District introduced into evidence its letter to Student, dated September 28, 2012, written pursuant to section title 20 United States Code section 1415 (i)(3)(D), where it offered to settle this matter by providing Student with 80 hours of compensatory tutoring by a credentialed teacher, providing Student with 20 hours of counseling services in addition to the counseling he was receiving pursuant to his IEP, to pay for the cost of Dr. Passaro’s assessment, and to pay Student’s reasonable attorney’s fees. Student never accepted this offer. 125. During questioning of Mother at the instant hearing, the District asked her if she believed its offer was sufficient to compensate Student. Mother indicated that she believed it was. 126. Mother is not an educator, therapist, or medical professional of any kind. 127. Student offered no other oral testimony or written evidence at hearing in support of any remedy he had requested in his complaint or in his prehearing conference statement, or requested in his written closing argument. Student did not ask any witness, including his only expert Dr. Passaro, any question regarding appropriate remedies in this case. Student did not ask Dr. Passaro what type of compensatory education or services, if any, Student might require if the ALJ found that Student would have qualified for special education earlier than the District so found. Nor did Student put into evidence the rational for his parents’ decision to contract with Dr. Passaro for an evaluation or why that evaluation was necessary. Dr. Passaro never described his fees for the assessment and Student has not put Dr. Passaro’s invoice into evidence. In his written closing argument, Student briefly states that since Mother acknowledged the appropriateness of the District’s offer in compromise, the terms of that offer should be ordered by the ALJ if she finds in Student’s favor. Student offered no authority in support of his contention that Mother’s acquiescence to an offer in compromise equated to meeting his burden of proof to demonstrate by a preponderance of the evidence that he was entitled to any of the remedies he requested. 12 All references in this Decision to Title 34, Code of Federal Regulations are to the 2006 edition. 8. Federal law, as well as California law, defines an individual with exceptional needs as one, who, because of a disability requires instruction and services which cannot be provided with the modification of the regular school program in order to ensure that the child is provided a FAPE. (Ed. Code, § 56026, subd. (b).) However, a school district is required to refer a student with a disability for special education and related services only after the resources of the regular education program have been considered, and where appropriate, utilized. (Ed. Code, § 56303.) Therefore, when determined on a case-by-case basis, a school district may utilize the resources of general education before referring a child for a special education assessment. 9. Nonetheless, a school district’s pursuit of general education interventions may not be used to unreasonably delay the special education assessment process. (Johnson v. Upland Unified School Dist. (2002) 26 Fed.Appx. 689, 690-691 [nonpub. opn.].) A school district may still violate its child find duties by continuing to provide unsuccessful interventions rather than evaluating the child’s need for special education and related services. Determination of Issue One: Did the District Fail in its Child Find Obligations to Student in the Two Years Prior to his Filing his Complaint on March 26, 2012? 10. Student first contends that the District should have assessed him at some time after March 26, 2010 (two years prior to the time Student filed his complaint in this case) but in any case no later than just after holding its 504 plan meeting for Student on September 22, 2011. The District contends that it had no notice up until it assessed Student in spring 2012 that Student might qualify for special education and thus had no reason to assess him before that time. 13. Student’s emphasis at hearing that his tutor Ms. Hutchings had initially intended to recommend a 504 plan for Student in eighth grade but then failed to follow through with it is misplaced. OAH has no jurisdiction over 504 plans. Therefore, whether Ms. Hutchings or the District should have referred Student for a 504 assessment is irrelevant to the instant proceedings. 16. Student had a complete emotional breakdown, or manic break, on August 3, 2011, during which he attempted to commit suicide. As a result, Student required a psychiatric hospitalization. The District became aware of this when Mother discussed what had occurred with Ms. Yee and Mr. Nasouf right before the beginning of the 2011-2012 school year. Although Mother and Student’s mental health providers did not give any further specifics of Student’s deteriorating mental health, Mother did discuss with the 504 team the fact that Student had attempted suicide and the fact that one of his prescribed medications was directed at controlling his moods. Unfortunately, the 504 team focused not on the information regarding Student’s suicide and possible mental health needs but on his anxiety and ADD. 17. Both Dr. Passaro and Ms. Kwak later concluded at almost the same point in time that Student suffered from an emotional disturbance for which he required special education intervention. Where they differ, and what is at the heart of the instant hearing, is whether Student should have been referred for an assessment around the time the District held his 504 plan meeting, and, if so, whether Student would have been found emotionally disturbed had he been assessed at the time. 18. As detailed above, Dr. Passaro believes that the District should have started the assessment process for Student after his 504 plan meeting. That process would have included discussions with Student’s mental health providers. The information Dr. Litzinger and Dr. Polachek would have provided would have prompted the District to initiate a full assessment of Student and determining that he qualified for special education under the category of emotionally disturbed. 20. Ms. Kwak’s suggestion at hearing that Student’s suicide attempt and resulting hospitalization were not significant events is also not persuasive. The facts of the instant case are somewhat similar, though not as egregious, as the facts in N.G. v. District of Columbia (D.C.C. 2008) 556 F.Supp.2d 11 (N.G.). In N.G., the student had attempted suicide once in ninth grade. In 10th grade, after continuing to do poorly in school, N.G.’s parents had her evaluated by a psychologist who did not make any specific diagnoses, but did report symptoms of ADHD. The school district did not act on the report. N.G.’s parents then had her re-evaluated by a clinical psychologist who diagnosed N.G. with ADHD and major depression. N.G. then began treatments with the psychologist and later a psychiatrist who diagnosed N.G. also with mood disorder. The psychiatrist also began prescribing medications for N.G. Later, during a therapy session, N.G. voiced suicidal intent. Her psychologist immediately recommended N.G. be hospitalized. Upon discharging N.G., the hospital doctors recommended that she be given accommodations at school. N.G.’s father then requested that the school initiate a 504 plan for her, as later did N.G.’s treating psychologist. When the District failed to implement a 504 plan, N.G.’s parents unilaterally placed her at a private school. They later requested their school district to assess N.G. for special education. The district finally assessed N.G., but found her ineligible for services. N.G.’s parents filed for due process. After the hearing officer found in favor of the school district, N.G. appealed the hearing officer’s decision to the district court. 21. The district court overturned the hearing officer’s decision. The court found that the school district had been put on notice that N.G. might be a child with a disability because it had been informed of N.G.’s diagnoses of ADHD and major depression. The court stated “it goes without saying that attempted suicide is “inappropriate behavior.” (N.G., supra, 556 F.Supp.2d. at p. 27.) The court found that it was N.G.’s ADHD, depression, and hospitalization for suicidal ideation that put the school district on notice that it should have assessed N.G. at the time it received the information form N.G’s psychologist and from her parents. This argument is absurd and completely undermines the purpose of Child Find. Under Defendants’ interpretation, a school district could excuse itself from the obligation to evaluate students merely because parents or therapists had suggested additional, alternative ways to accommodate the child. This is clearly not what Congress intended by imposing an affirmative obligation upon school districts to identify, evaluate, and place potentially disabled students . . . .
32. Ms. Kwak found that Student qualified for ED because he displayed a general pervasive mood of unhappiness or depression. She based this finding on the fact that Student had been hospitalized for suicidal ideation, that he had been diagnosed with ADHD, major depressive disorder, anxiety disorder not otherwise specified, and intermittent explosive disorder. She indicated that behaviors associated with depression had been observed both at home and at school. She indicated that Student was taking prescription medications. In each case, the information regarding these factors had either been made available to the District by September 22, 2011, or would have been made available to it during the assessment process. 33. Ms. Kwak’s position is further weakened by the fact that she did not base her assessment recommendation that Student qualified for ED on the fact that his mental health had deteriorated solely because he had been removed from Kennedy due to his attempted drug purchase. Certainly, if Student’s removal from Kennedy had the significance Ms. Kwak attributed to it at hearing, it would have figured more prominently in her report as the basis for her finding of Student’s eligibility under the ED category. 15 There is no evidence in the record as to what other programs or services were offered to Student through the IEP process. 39. The ALJ is mindful of the fact that a failure to assess a student who would have been found eligible for special education generally means that the student was denied a FAPE because that student was prevented from receiving necessary instruction and/or services by the failure to find him or her eligible. (Legal Conclusions 24-25.) The question here is how to devise a remedy given Student’s failure to provide a concrete basis for one. The ALJ has reviewed the testimony at both hearings; none of the witnesses provided a basis for an award of compensatory education. A review of Dr. Passaro’s assessment report, however, provides some basis for finding that Student is entitled to compensatory counseling services. Dr. Passaro’s assessment finds that Student required therapeutic interventions in the form of counseling. The District ultimately assessed Student, found him eligible for special education as emotionally disturbed and under the category of OHI, and offered Student counseling sessions two times a month for 30 minutes a session. 15 Mother accepted the offer of counseling. This is the only evidence of the extent to which Student required intervention to address his ED. Therefore, had Student been assessed and found eligible for special education six months prior to the date Ms. Kwak started her assessment, it is logical to extrapolate that the District would have offered the same type and amount of counseling services. Based on applying equitable principles to this case, it is appropriate to order the District to provide Student with six hours of compensatory counseling services by a school psychologist either before or after school, or during Student’s lunch period, to compensate Student for the loss of services he would have received had he been assessed during or shortly after his 504 plan meeting on September 22, 2011. The District shall provide Student with six hours of individual counseling by a school psychologist or other credentialed mental health professional in addition to any counseling that Student is already receiving through his IEP, or through other agencies or his private mental health providers. The District shall provide the hours either before or after school, or during Student’s lunch hour or study hall period, at Student’s election. Student may elect to receive the sessions either in 30 minute or 60 minute increments. The District shall provide the hours over a period of time not to exceed six months from the date of this Order, excluding the District’s summer break. Within 45 days of the date of this Order, the District shall reimburse Student’s parents for the cost of Dr. Passaro’s assessment. All other relief requested by Student is denied. Pursuant to Education Code section 56507, subdivision (d), the hearing decision must indicate the extent to which each party has prevailed on each issue heard and decided. In accordance with that section the following finding is made: Student prevailed on both issues heard and decided in the non-expedited portion of this case.